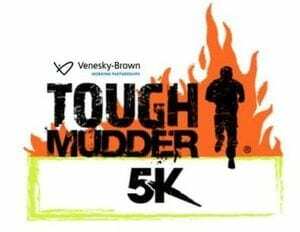 Venesky-Brown Completes Tough Mudder 5k! Venesky-Brown recently competed in the inaugural Tough Mudder 5km run in Holyrood Park, Edinburgh. On a lovely sunny day all 26 of us bolstered by contacts from our clients and onsite workers, completed the course and raised over £2,000 for our chosen charity of 2018 – Health in Mind. Raising funds started off as our main aim but what became apparent to us was that raising awareness of Mental Health was equally if not more important. Health in Mind are a mental health charity who have been promoting positive mental health in Scotland since 1982. As a large employer, we take mental health very seriously and we work closely with Health in Mind to support their cause so that, in turn, our employees know that we are there for them and they become more aware of the importance of mental health. This entry was posted in Uncategorized on October 24, 2018 by Hannah Smiley.